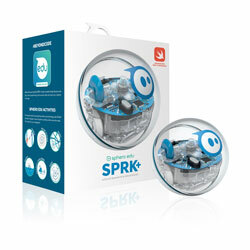 RS Components has a new product, Sphero’s SPRK+, which is created to offer students with hands-on computer programming education. Sphero includes the understanding that play is a powerful teacher and its SPRK+ presents engaging activities and lesson plans for STEAM learning. The new product supports the company’s longstanding programme to promote the learning and development of the engineers of tomorrow, both at school and higher academic levels. Created to inspire creativity and invention, the robot provides a full hands-on experience for young people to learn about programming, robotics and share their creations with a community of other users. Each robot has an extremely durable scratch-resistant UV-coated polycarbonate shell and offers an attractive built-in LED-supplied glow. It is controlled by users via Bluetooth Smart over a 100ft range and can move at up to 4.5mph, or 2m/s. The device can be easily charged up via inductive charging, which offers more than one hour of use on a full battery. New product features can be introduced via app and firmware updates.